What will you be doing in the future? I’m writing this post while listening to the soundtrack of my favorite video game of all time. Odd, to be inspired to write a blog post by a video game, or is it? This post in particular centers around a quote by one of the playable characters in the game. Blunt, to the point, and true. Do any of us truly know what’s coming, what will happen? No. The future is a gaping void that looms over our heads and expects us to try to figure out what will happen. Will we be successful? Will we fail? Will we reach our goals? Only the future knows, but that doesn’t mean we should ever give up. We can’t decide the future, not in the long run. This doesn’t mean it’s pointless. Can I guarantee that I’ll one day find a literary agent who loves my work, and then get a publishing contract? No, but what I can do is fight for it. I can write, I can improve my craft, and I can keep trying. Whether or not I’ll succeed, I don’t know, but at least I’ll know that I’m trying my hardest to carve out the future I see for myself. We can plan short-term things. Going out to a movie with a friend next week? Sure. Saving up money for an eventual vacation? Absolutely. Even short-term, though, things can interrupt our plans. Never give up. That’s the moral of this story. Even though the only dependable thing about the future is uncertainty; keep going. You’ll get there. 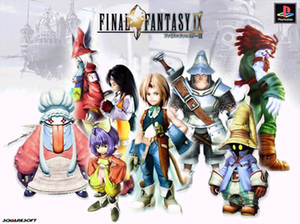 Categories: Life | Tags: Final Fantasy IX, Gaming, Inspiration, Life, Music, Personal, Video games, Writing | Permalink. New Experiences: What are things you’d like to do? We all know how it is. You go to school or work, you come home, have dinner, do homework, etc, etc. It’s a cycle that repeats itself. It gets boring unless you do something to spruce it up a bit. Something unique, to break up the monotony. So, what are things you’d like to do in 2013 to add some spice to your life? Go skydiving? Go on a tropical holiday? Go to the movies? Go see your favorite band or singer in concert? For me, my new experience this year will be going to see the WWE (World Wrestling Entertainment) live when they come to Germany in April! That’ll be a fun Saturday night, and as an added bonus, it will help me write Survival, my side-project. There are fights in wrestling rings in that book… although the fights are a tad different. You know, until one fighter is completely unable to fight just a bit more physical. These fighters are a bit rougher and cause much bloodshed and possible death. So, I’m definitely looking forward to going to see that and to experience the vibe in the arena. That’ll help me portray it better in my writing. Plus, I’ll get to see my favorite wrestlers in action. And then, another goal of mine is to go to gamescom in August. My first ever trip to a gaming convention. I’m excited for that! So, what are things you’d like to do in 2013? Let me know in the comments! I hope you all get to do the things you want to! Categories: Life, Miscellaneous | Tags: Blog, Gaming, Inspiration, Life, Miscellaneous, Personal, Writing, WWE | Permalink.